Build a home for $20,000. Two recent home designs can be found south of Atlanta in Serenbe, a small community in Chattahoochee Hills. 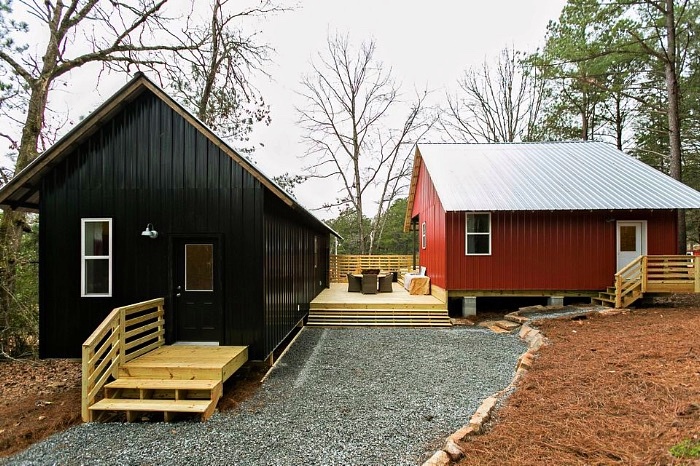 They partnered together to create two one-bedroom cottages for Serenbe’s artist in residence program. This project was special. The Rural Studio students got the chance to test their proposals in the real world as a low-income homeowner would: working with a commercial contractor and taking the project through all stages of construction, including zoning and code compliance. And boy, did they learn a lot. Going into it, they knew that there would be challenges with design, but what they didn’t expect were the challenges that came with working with the current system. Standard codes, permitting, lenders, and contractors aren’t currently aligned to work with the new thinking and home designs of architects like Rural Studios. Some education and adaptations were required. 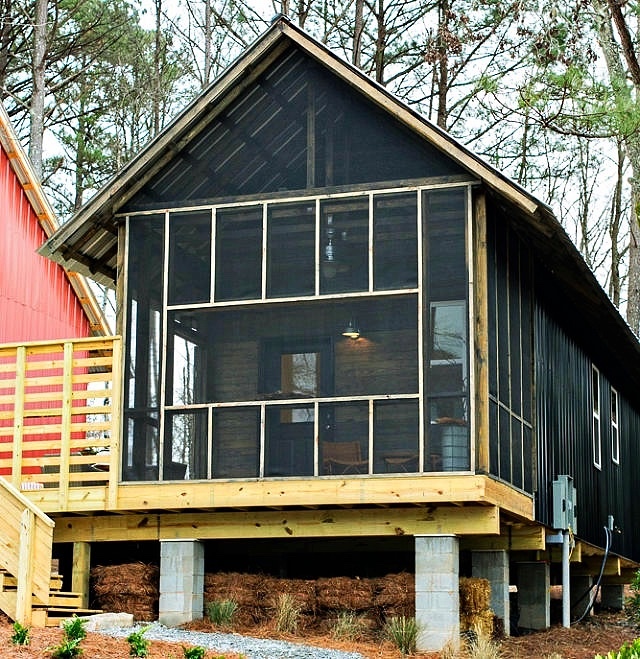 For instance, the two $20k cottages built at Serenbe are about 550 square feet each, which is too small of a lot size in the state of Georgia. (Many tiny homes have been running into this issue as well.) As a solution, they obtained a special permit and constructed a porch connecting the two homes, so they could be considered one unit. 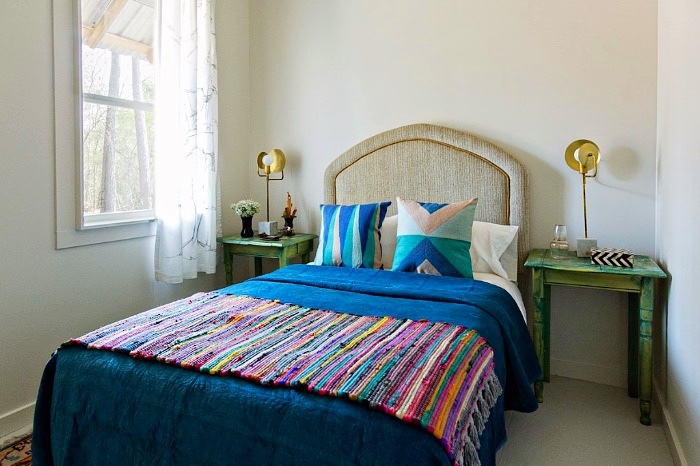 The cottages have elevated foundations, built from a combination of piers and wooden joists. They use less resources, are sturdier than a concrete foundation, and allow for effective passive heating/cooling of the homes. Awesome. But—this type of foundation doesn’t match the guides local code officials typically consult, so the permit was denied. Some education was needed. Once the foundation design was explained, the permits were then approved. Another roadblock in the process for a low-income homeowner came from the financial arm—obtaining a mortgage for this size home. For this issue, Rural Studio has been working with Regions Bank. It typically costs lenders $2,300 to create a mortgage, and so the profit margin is significantly different for a $20,000 mortgage than a $200,000 mortgage. The bank is working alongside the studio to explore solutions. All said and done, these two cottages were each built with $14,000 worth of materials, and ended up costing about $135,000 total to build. So although $20k remains aspirational, Rural Studio plans to share the home plans with the broader market when more of these challenges are ironed out. They'll create construction documents, Ikea-like drawings and videos to explain the particularities of the plans and a shopping list of materials. Until then, we’ll be anxiously awaiting instructions, ready to build a cottage of our own.